The pharmaceutical and biopharma industry continues to experience solid growth in an expanding global market. This market growth has been accompanied by an ever-changing industry landscape, with consolidation among long-time "big pharma" leaders, ongoing mergers and acquisitions, and the emergence of start-ups and technology-based offshoots from academic laboratories. 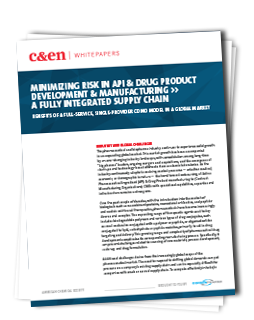 As the industry continuously adapts to evolving market pressures -- whether medical, economic, or demographic in nature -- the trend toward outsourcing of Active Pharmaceutical Ingredient (API) & Drug Product (DP) manufacturing to (Contract Manufacturing Organizations) CMOs with specialized capabilities, expertise and infrastructure remains a strong one.